for current owners of the 2018 mazda6, as long as your car is a touring, grand touring, grand touring reserve or signature model, you'll be able get the functionality added at a dealership at no cost. 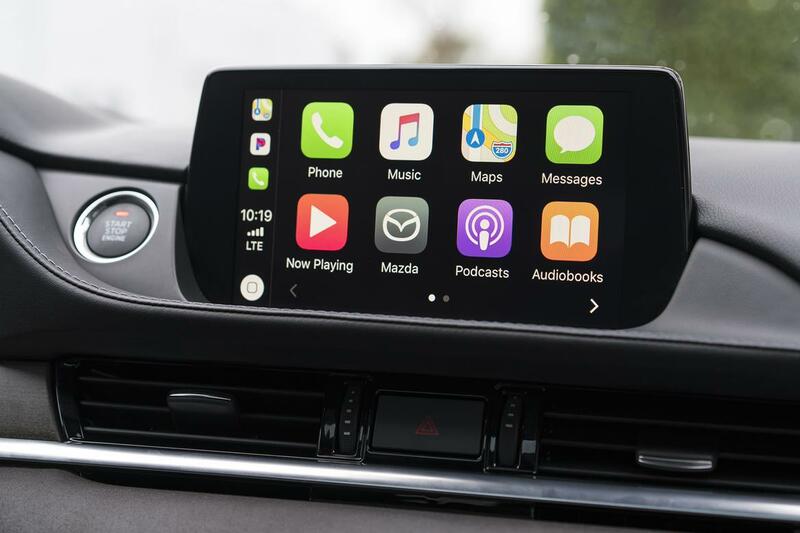 the software update also includes an update to the latest version of mazda connect and a hardware update adding a more powerful, faster-charging 2.1-amp usb port. mazda estimates the service will take about two hours to complete; service opportunities will start in september. if you're considering the mazda6 but are willing to wait until these features are original equipment, you'll have to wait until november. i recommend listening to some wyclef jean to prepare yourself for the wait ... and just in general, really. the integration of either system will be controlled by the controller knob and buttons that are part of the multimedia interface. mazda says this is part of its desire to "lessen cognitive distraction."